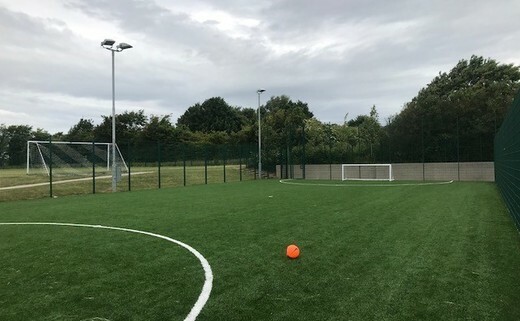 Following successful funding grant applications Great Park Community Centre Association has been awarded funding from Sport England and Newcastle City Council towards a brand new artificial 3G pitch which opened on June 11th 2018. The 5-a-side 3G pitch is available to pre-book or just drop in and play however we would recommend pre-booking to avoid disappointment. Players are advised to bring their own equipment, however there are some items for general hire, subject to availability. Pitches are currently available from 9.00am - 9pm Monday to Thursday, 9.00am - 7.30pm Friday & 9.00am - 6.00pm Saturday and Sunday. Saturday & Sunday for under 16's only £3 per child (minimum of 5 children) if the pitch isn't being used. All children must be signed in and supervised by a adult/guardian. Our 3G football party packages can also be found on our 'Party Packages section'!